In observance of Colorado state initiative Keep It Fresh Day, Vega is partnering up with DJ Cavem Moetavation, a Denver based environmental activist, vegan, recording artist, and OG ("Organic Gardener") to spread the word about sustainable living and cooking with a night full of planting seeds, harvesting greens, and of course, eating them! 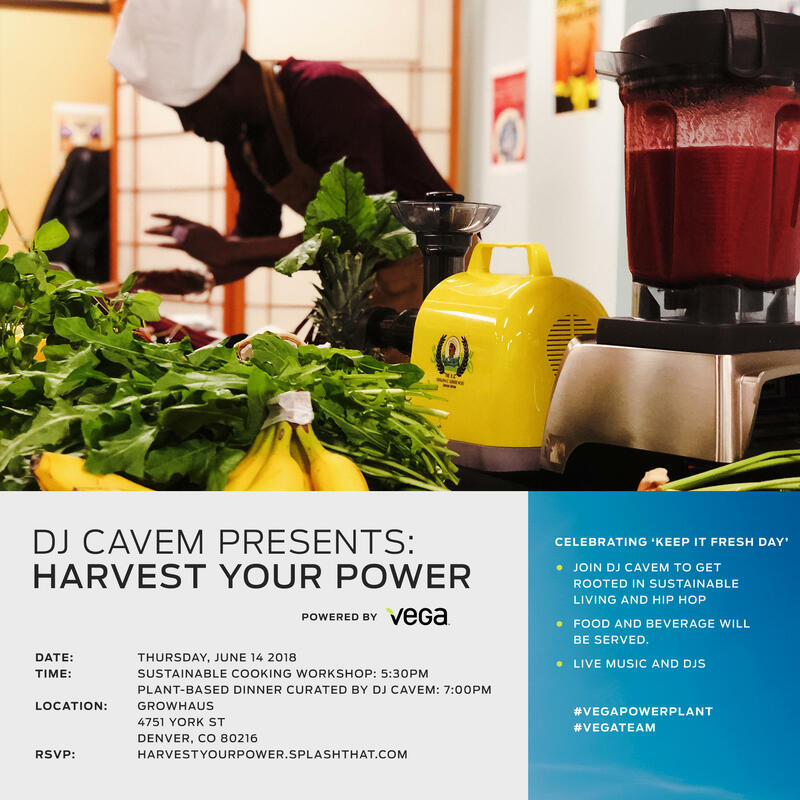 Join DJ Cavem as he leads an interactive workshop around sustainable living and eating, urban agriculture, and culinary wellness. All who attend the workshop will receive curated gift bags.